The Hohner Rocket. Usual price £46.99. Claimed to be the world's loudest harmonica, represents a new breakthrough in diatonic harmonica design. The ergonomically designed comb has rounded sides and edges for maximum comfort. Wide open cover plates and channel design enhance pressure to ensure maximum loudness. 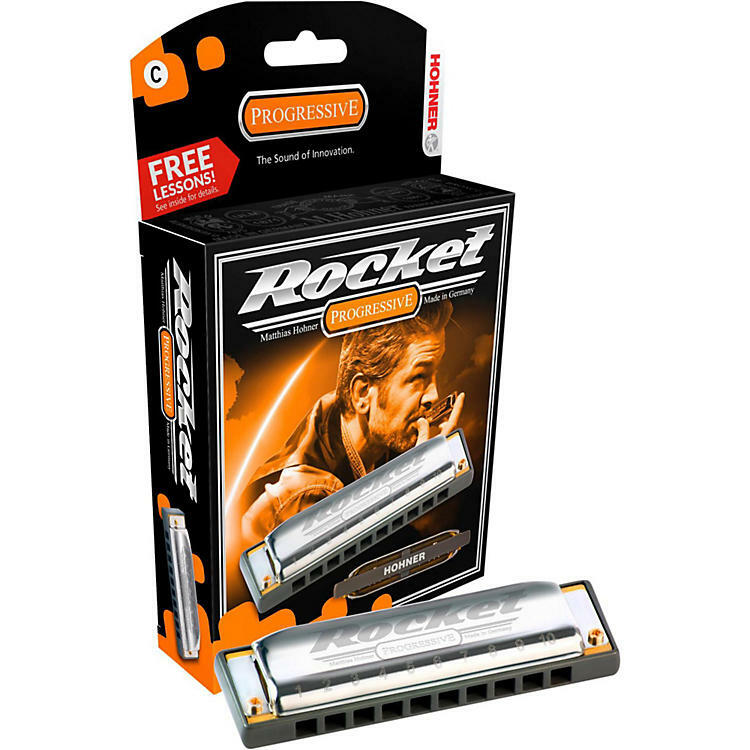 The Rocket allows players to express a powerful, dynamic sound. • Available in keys C, A, Ab, B Bb, D, Db, E, Eb, F, F#, and G. All are currently in stock.